international education – eduBuzz What's On? 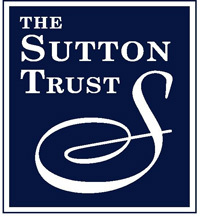 The Sutton Trust is now inviting applications for places on its US programme, a week-long summer school which gives state school participants a taste of what undergraduate study in the USA can offer. Google’s first Science Fair has just been announced via the Google Teacher Newsletter. On 11 January, 2011, we are launching the inaugural Google Science Fair. We have partnered with NASA, CERN, National Geographic, Scientific American and the LEGO Group to create a new STEM competition that is more open, accessible and global than ever before. We are reaching out to educators prior to launch to let you know “the Google Science Fair is coming” and to extend an invitation to schools and teachers to get involved early in our global competition. The Google Science Fair is a global competition that any student aged 13 – 18 from around the world is eligible to enter. Students can enter as individuals or as teams of up to three. There is no entry fee and registration and submission will happen online. The deadline for submissions will be the 4 April, 2011. The Science Fair will culminate in a “once in a lifetime” celebratory event at Google headquarters in California in July 2011 where finalists will compete for internships, scholarships and prizes in front of a panel of celebrity scientist judges including Nobel Laureates, tech visionaries and household names. We want to celebrate and champion great young scientific talent and give students from around the world the opportunity to compete for amazing experiences, prizes, scholarships and internships. We hope you are as excited about this upcoming competition as we are are! The BBC has teamed up with the British Council to find dozens of primary and secondary schools across the UK to twin with schools all over the world and take part in a special project in the run-up to the London Olympics. Over 800 schools have signed up already but we are looking for even more Scottish schools who are excited by the Olympics and want to link up with schools in the UK and around the world attended by World Olympic Dreams athletes. We want more schools to see for themselves how school partnerships can enrich the curriculum, motivate and broaden students’ horizons. The competition closes on 31 October so now really is the time to get involved and ‘Twin for 2012′. Over the next two years winning schools and their partners will follow the Olympic athlete’s stories. The BBC and the British Council will support the partnerships and encourage pupils to share creative work inspired by the 2012 Olympics with the organisations’ global audiences.